It always begins with Someone before it begins with something. The Apostle John begins his Gospel that way, “In the beginning... all things were created through Him,” (John 1:1,3). Before historical and biographical events take shape, there is One who is shaping. In that way, Portico was always a twinkling in the eye of the Father. He had a vision. God had a dream. It’s when He begins to communicate that to us that His plans become known to us. During that time, Chris became familiar with a new church planting network called Acts 29. If you’re familiar with the book of Acts in the Bible, you’ll recognize that it only has 28 chapters. So, the name Acts 29 is ripe with the notion that the mission of God never ends, it is continuing to expand in our day. And because the primary method of gospel expansion in the New Testament was church planting, churches today should emphasize the planting of new churches as their “ends of the earth” missions strategy. 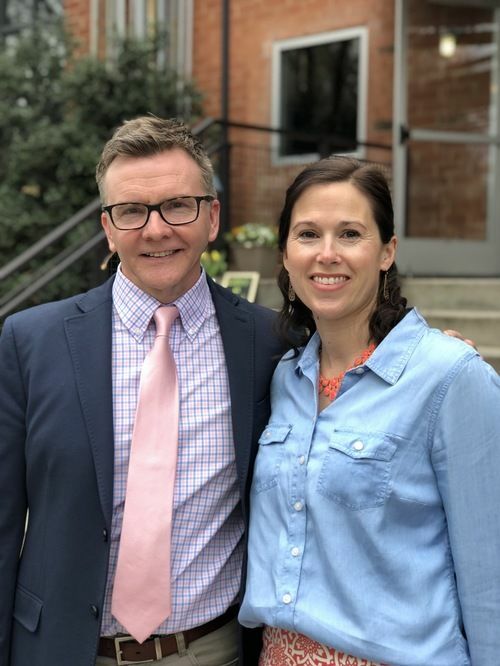 The Atwells caught that vision at an Acts 29 training event, and moved back to Charlottesville in the fall of 2004. Dreams can often become nightmares, as the idealism and theory of church planting crashes into the brutal realities of slow growth, lack of funding, and gut wrenching loneliness. But God is faithful! By the fall of 2006, it was obvious that God was building His church. The pioneering work of several courageous families, was turning into an expression of a gospel community. Since then, God has added to our number and continued to expand the mission. 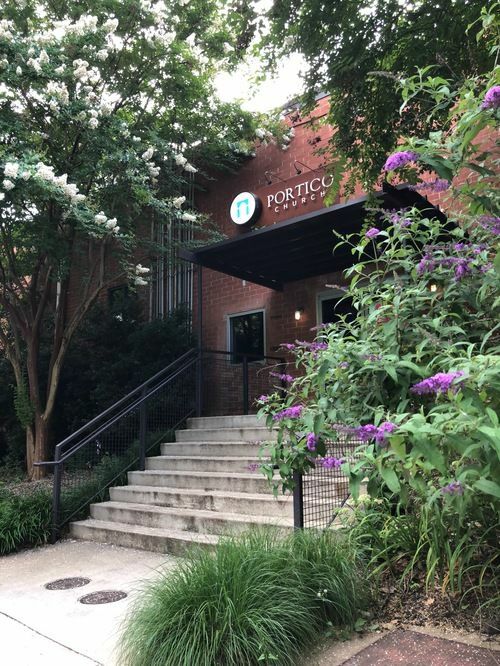 Portico’s nomadic worship resides in it’s eighth location today at 2nd Street SE, in the Ix Building, in the heart of downtown Charlottesville. God has blessed us to worship and serve hundreds of men, women and children each Sunday and during the week in community groups. In addition, we serve hundreds more who are traveling, ill, or unable to attend through our live online service each Sunday at 9am and 11am. By God’s grace, the vision of church multiplication has materialized into five churches planted. Portico has daughter, grand-daughter and great-granddaughter churches! We want to continue our vision of “creating churches for future generations” by planting the joy of the gospel into the heart of every man, woman, and child in Charlottesville. -Advancing our discipleship ministries, so that the folks at Portico have better opportunities to be “mature and complete, not lacking anything, “ (James 1:4). -Training Christian leaders through community group leadership and the Pillars women’s ministries. -Addressing the cultural fault lines in matters of racial reconciliation and prophetic justice. Even before the pain Charlottesville faced in August of 2017, we believed God was calling us to be healers in this area. We believe God will bring healing as we pray, partner with pastors and churches with similar convictions from different cultural backgrounds, and plant new gospel-centered churches in diverse and under-served communities. -We want to recruit, train and send church planters. In partnership with Grimke Seminary, we are developing a 2 year church planting residency. We invite candidates to join us for robust pastoral training in community at Portico. Accepted candidates receive Grimke tuition and housing for their 2 year term in Charlottesville. -We’re believing in God to continue shaping us into a church were children and students are disciples for life on mission in Jesus Christ. Along with that, their parents are continually resourced and trained with how to disciple their own flock at home. 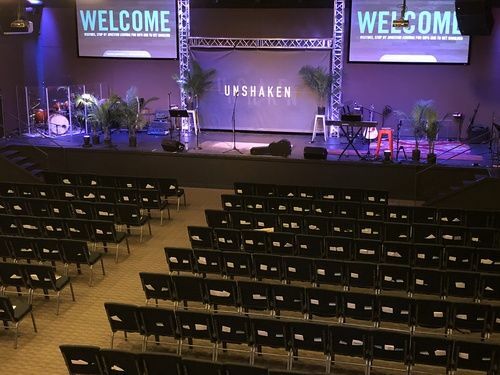 Join us every Sunday as we gather to worship together at 9:00 am and 11:00 am.